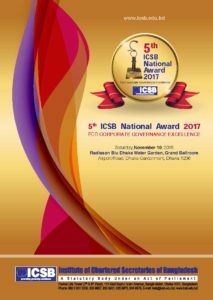 The 1st ever ICSB National Award 2013 for Corporate Governance Excellence was held at 5.30 PM today (04.12.2014) at Celebrity Hall of BICC, Dhaka, Mr. Abul Maal A. Muhith, Hon’ble Finance Minister was the Chief Guest at the Award Ceremony and gave away trophies to the Award recipients who got Corporate Governance Award in the field of Banking, Non-Banking Financial Institutions and Insurance Companies, General Manufacturing, Food & Allied and Pharmaceuticals, IT Communication and Services. In total near about 150 listed Companies participated and high powered independent Jury Board decided on the awardees basing on a specific evaluation Criteria. The Award was given to 15 Companies in total for complying with the Corporate Governance basing on Securities and Exchange Regulations and Transparency in Administration. Among the awardees in the Banking sector Eastern Bank Ltd. got the 1st Prize while Dutch-Bangla Bank and United Commercial Bank bagged 2nd and 3rd prize respectively. Similarly, in Non-Banking Financial Institutions and Insurance sector, Prime Finance & Investment Ltd. got 1st prize while Prime Insurance Company Ltd. and Union Capital Ltd. bagged 2nd and 3rd prize respectively. Likewise, in General manufacturing sector, British American Tobacco Bangladesh got 1st prize while Summit Power Ltd. and Premier Cement Mills Ltd. bagged 2nd and 3rd prize respectively. In the same way, in Food & Allied and Pharmaceutical sector The Ibn Sina Pharmaceutical Industry Ltd. got 1st prize while Beximco Pharmaceutical Ltd. and Glaxo Smith Kline Bangladesh Ltd. bagged 2nd and 3rd prize respectively. Likewise, in IT Communication and Services sector Singer Bangladesh Ltd. got 1st prize while Grameenphone Ltd. and Bangladesh Submarine Cable Co. Ltd. bagged 2nd and 3rd prize respectively. While extending heartiest congratulation to all award recipients the Hon’ble Finance Minister mentioned that the present government is committed to ensure good governance and corporate culture in the listed companies of Bangladesh, In order to develop skilled professionals in the listed companies, the Institute of Chartered Secretaries of Bangladesh has been established under an Act of Parliament i.e. 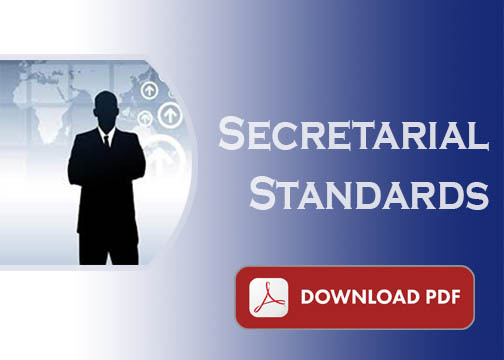 Chartered Secretaries Act 2010, and it is the only recognized professional body in Bangladesh to develop, promote and regulate the profession of Chartered/Company Secretaries in Bangladesh. President of the Institute Mohammad Asad Ullah, FCS emphasized the need to reform the Companies Act 1994 catering the present need of business and commerce of the world. 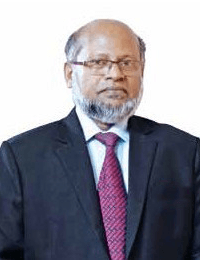 He proposed to set up a separate Ministry as “Ministry of Corporate Affairs” like India to provide services precisely to 1,30,000 Companies registered with the RJSC. He also appealed to the Govt. 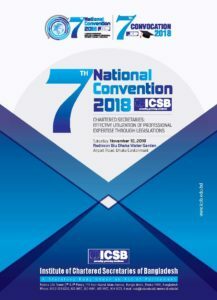 to include the ICSB in the Financial Reporting Bill, so that ICSB can significantly contribute for ensuring good governance and to achieve the objectives of the Bill. The award giving ceremony was also addressed by Prof. Dr. M. Khairul Hossain, Chairman, Bangladesh Securities and Exchange Commission who was the special guest while Mohammad Asad Ullah FCS, President of ICSB chaired the Award Program. ICSB National Award on Corporate Governance Excellence-2013 published in Newspapers, click the following links…..